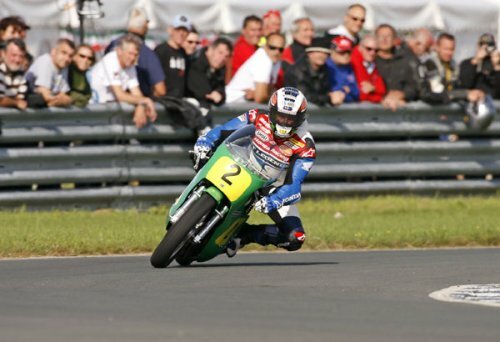 Team Classic Suzuki, owned by Northamptonshire businessman Steve Wheatman, is one of the foremost attractions on the international classic motorcycle scene with its vast collection of authentic Suzuki Grand Prix racers from the 1970’s, 80’s and 90’s. Some of the most famous names from Suzuki’s racing history regularly ride for the team in parade events including Randy Mamola, Wil Hartog, Phil Read MBE, Graeme Crosby, Mick Grant, and Kevin Schwantz. Team Classic Suzuki also has a successful racing pedigree, with former Grand Prix ace Sean Emmett leading the team’s short circuit effort scoring numerous wins in the 2012 Classic Racing Motorcycle Club series, with Dunlop heading up their road race effort, taking Manx GP victory for the team in 2010 and 2012. 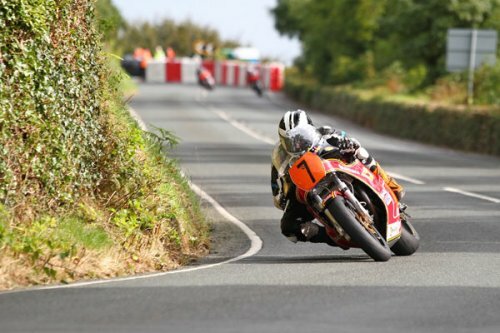 Three-time TT winner Dunlop will again lead the team at the Classic TT, contesting the Formula 1 Race where he will be joined by Manxman Cummins. Both riders will be on board the latest specification 16 valve XR69 Suzuki machines. Dunlop and Cummins will be joined by female TT and Manx GP regular Maria Costello MBE, who will be out on a Harris framed GSXR750 Suzuki whilst 2012 Manx GP Senior Race winner and former British Supersport Cup Champion, John Simpson completes the line up on board an iconic RG500 machine, which will no doubt delight the fans of true thoroughbred Grand Prix racing motorcycles. 7 times TT winner Mick Grant will take on the role of Team Co-Ordinator for the event with former Suzuki race team mechanics Paul Boulton and Nathan Colombi and XR69 development guru John Sims of Trident Engineering in charge of machine preparation. The team will have a permanent presence in the Classic TT Paddock with a host of exotic race bikes on display for race fans to enjoy, and will also feature in the Classic TT Lap of Honour, with the full line up of riders and machines for the parade lap due to be confirmed in due course. "The XR69 is a beautiful machine and I'm really looking forward to racing it on the Mountain Course. It's definitely going to be different to what I'm used to but the Classic TT is looking really exciting and as a local lad I couldn't miss out."